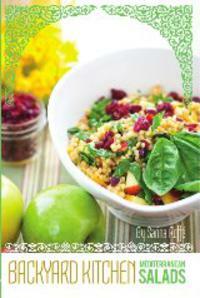 Sarina's Sephardic Cuisine - Kosher Family Recipes - Kosher Fest - a Who's Who of Food! Kosher Fest - a Who's Who of Food! Every food blogger and Kosher Food manufacturer and distributor are in town this week for KosherFest. It’s the 25th anniversary for the event held at the Meadowlands and it is the kosher food experience of a lifetime. Every new kosher product on the market is presented at KosherFest and this year was no different. The range of products was literally a who’s who of kosher products. For followers who do not keep kosher the guidelines of Kosher Dietary Law are on our website . There are just over 5 million Jews in the United States and many do not keep kosher. In fact, 1.3 million say they keep kosher. Yet there are over 12 million consumers of kosher food. Many eat kosher food simply because they believe it is healthier, or vegetarian or simply because they are good products. Other religions represent 3.5 million kosher consumers. The Kosher food industry is HUGE, representing a $300 Billion plus industry, and an industry that is growing more than 10 percent a year. Visitors could easily fill up on the hundreds of sample food items and get tipsy in the process. Kosherfest included a variety of new wines. Kedem has been a consistent Kosherfest winner in the wine category but this year, Happy Hearts Wine of Brooklyn took the prize. They produce an Israeli wine called Domain Ventura 2009 Merons Limited Edition. There was an endless supply of snack foods, some sweet, some healthy, delicious chocolates and sooooo many Mediterranean options. I like going to KosherFest so Ican see what to look for on store shelves and also because I see products that are not typiclaly in my stores. When I travel, I always try and visit a local supermarket because I want to see the kosher foods, the different kosher symbols. For example, I found a wonderful selection of ready to eat foods for traveling at KosherFest. These were meat, dairy and pareve entrees in ready to heat containers, perfect for travel. Following the trend for those cute individual serving k-brewers in different flavors, an award was given for the Best Overall New Product from Corim Industries for single serve cups in Capuccino, hot chocolate and Chai tea. Hmm interesting. I saw amazing lines of faux seafood - Ok I am not going there - and awesome lines of sausages (I make my own Sephardic version but these were incredible). Cheeses, wines, food for travelers, spreads, not to mention Passover foods. Seriously, KosherFest is an amazing trade event, thought its limited to the industry. It is a way for food bloggers like myself to see what's new, what's out there and what worth looking at. It's natural to look at new things and want to try them. As the kosher food industry is expanding by leaps and bounds, who knows what is next?